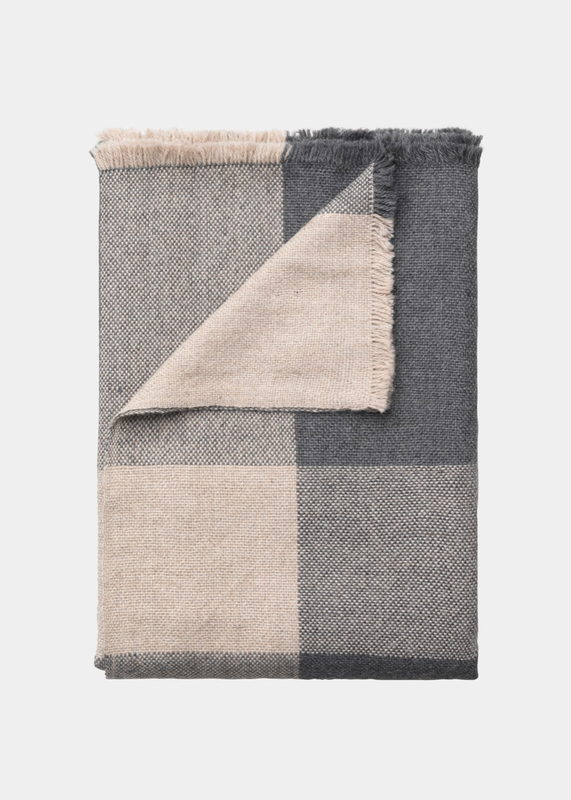 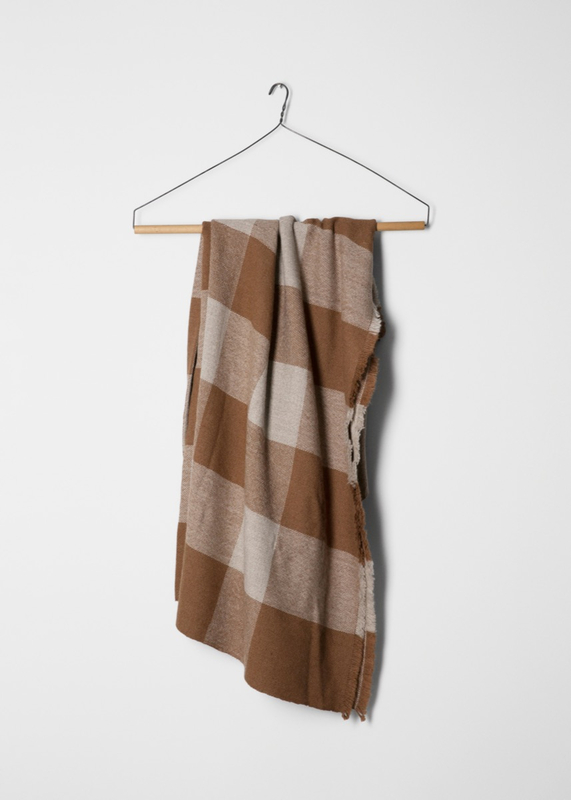 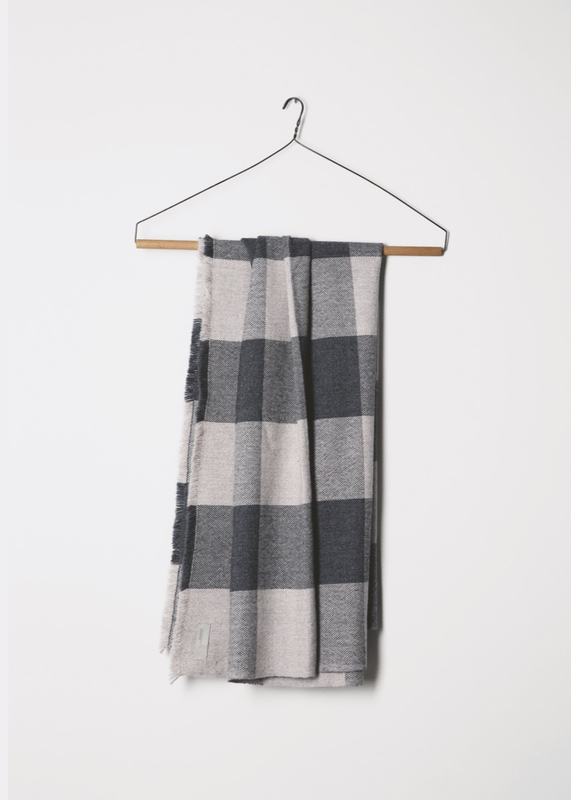 MARLON is an elegant and ultra soft woven throw in a classic checkered pattern. 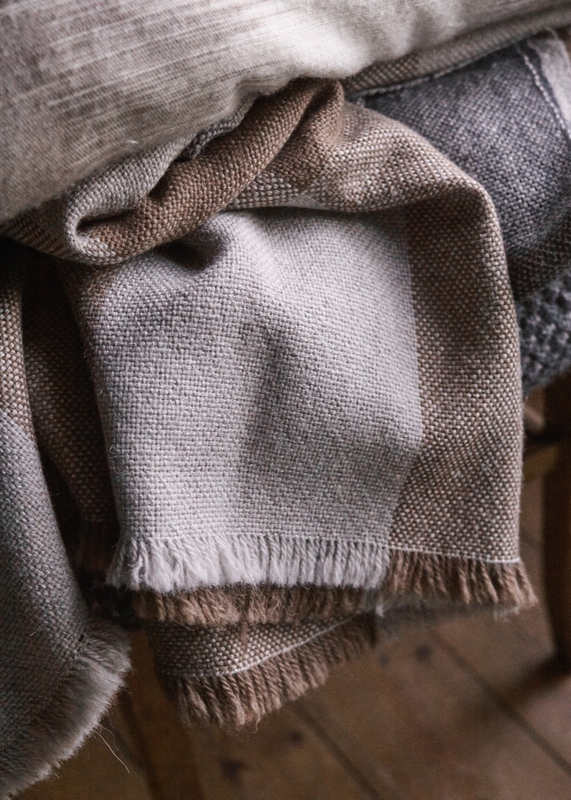 Warp and weft weaving in colors 'Air' and 'Stormy', and raw edges with decorative, brushed fringes. 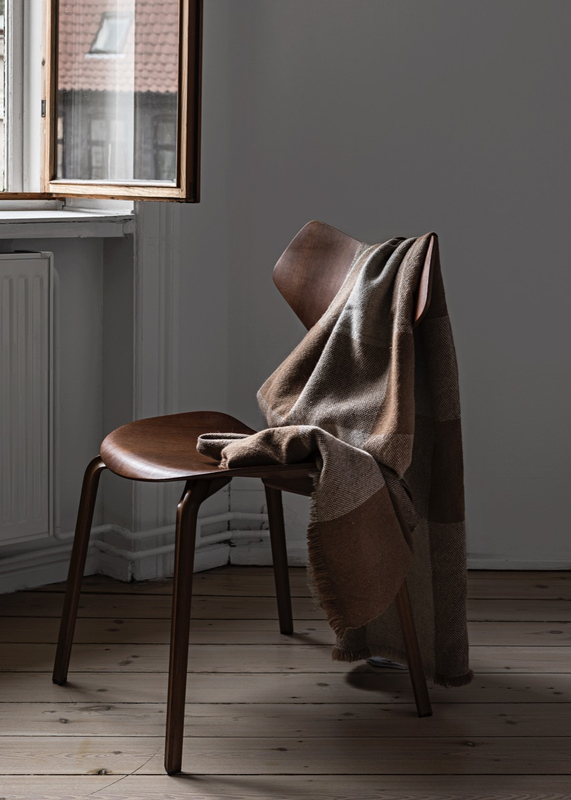 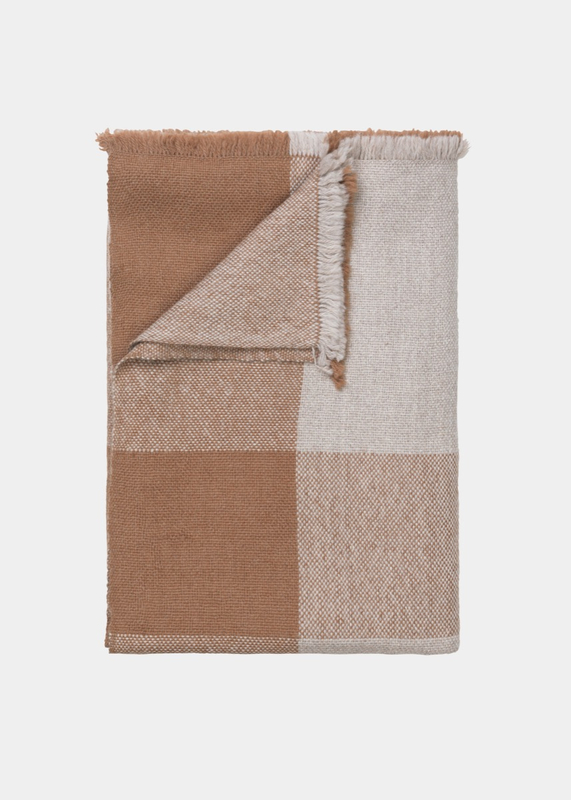 The throw is made from soft, exclusive baby llama wool.